To place your order from Johan Schmidt Woodwork, please email your name and a phone number where you can be reached - or call us - 614 332 3246. 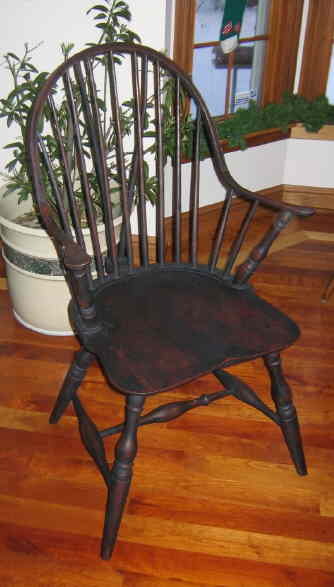 We look forward to working with you on your custom Windsor chair or furniture order. Payment Terms: 30% down on standard items; 50% on custom orders. Balance, including crating & shipping, is due before delivery. Please get a quote from us on personal delivery in the surrounding state (Ohio) area at a minimal cost. This alleviates the cost of crating & can reduce shipping costs. Commercial freight is otherwise available; please allow us to quote you. Prices vary between styles and quantity. Email me for more information or call 614 332 3246.